I promised you guys a great post today. I think I might have to disappoint you. I was leaving for evening church service last night when I tripped walking from the house into the garage. After laying on the floor of my garage for around ten minutes, I crawled back inside the house. My husband decided to take me to the urgent care because I was in a lot of pain. 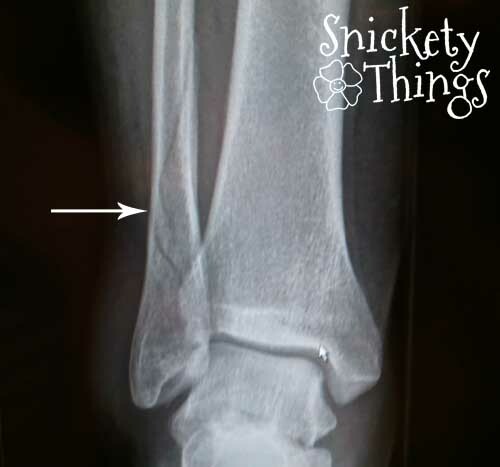 They took x-rays and found this. 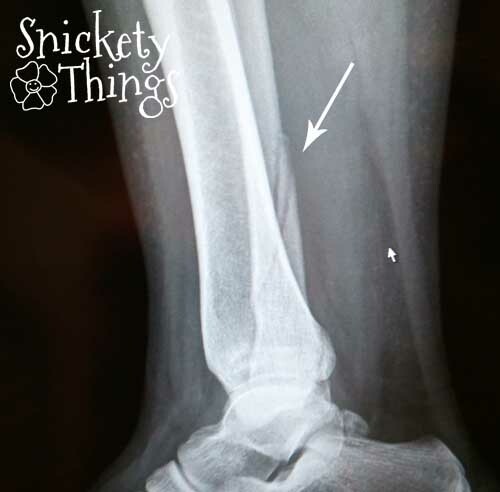 Yep, I broke my leg. It is a spiral fracture. This could have been much worse. I fell into my husband, and if I hadn't, would have fallen face first into the side of my car. The staff at the clinic were all very nice. The doctor seemed just as concerned about my badly scraped knee and the ankle I twisted on the other leg (yep, both legs are useless now) as she did about the break. I will know more when I visit an orthopedist. After getting home I spent the rest of the evening like this. 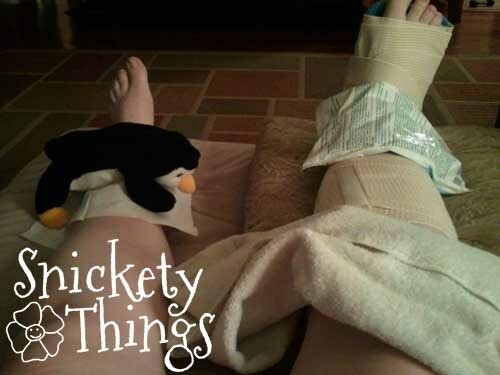 Those are the three ice packs I had on my ankle, leg and knee. My girls were very concerned and even drew me get well pictures. Say a prayer this heals quickly and does't require surgery.